Ryan Walsh was born and raised in West Virginia. 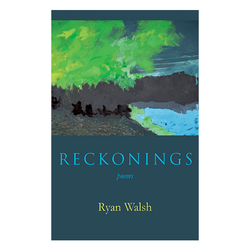 He is author of the collection, Reckonings (Baobab Press), and two previous chapbooks, Reckoner and The Sinks. His poems have also appeared in Blackbird; Ecotone; FIELD; Forklift, Ohio; jubilat; Narrative, and elsewhere. He lives in Pittsburgh, Pennsylvania.